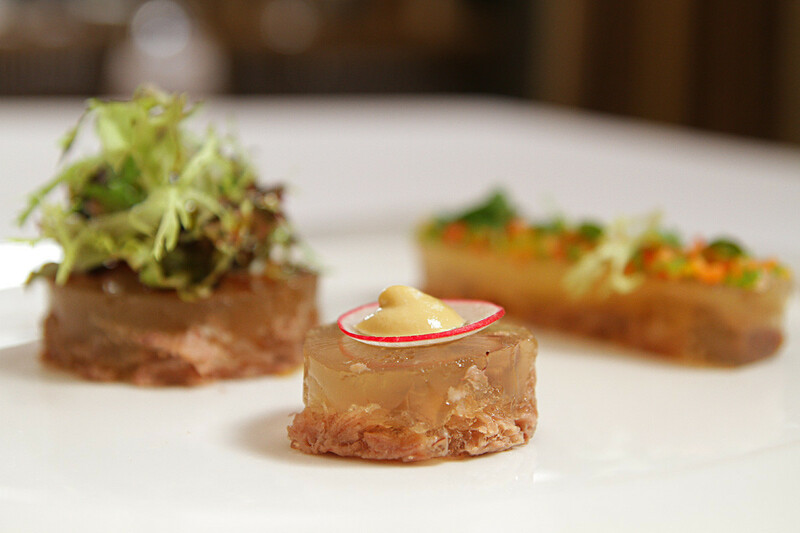 Fun fact: Different interpretations of kholodets (aspic) can be found in various European cuisines. 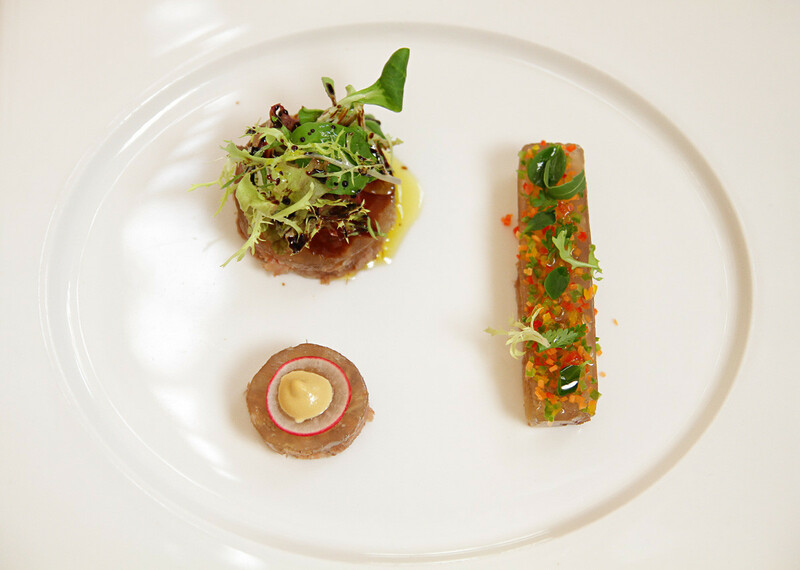 Italian chef Giuseppe Davi shares his version, which was influenced by his grandmother. Located in the upscale and fashionable Patriarch’s Ponds neighborhood, Butler is a restaurant that brings to life Italian chef Giuseppe Davi’s vision of contemporary Sicilian classics. While a native of Veneto, Giuseppe spent his childhood summers with his grandmother in Sicily. There, he began to develop an interest in cooking. 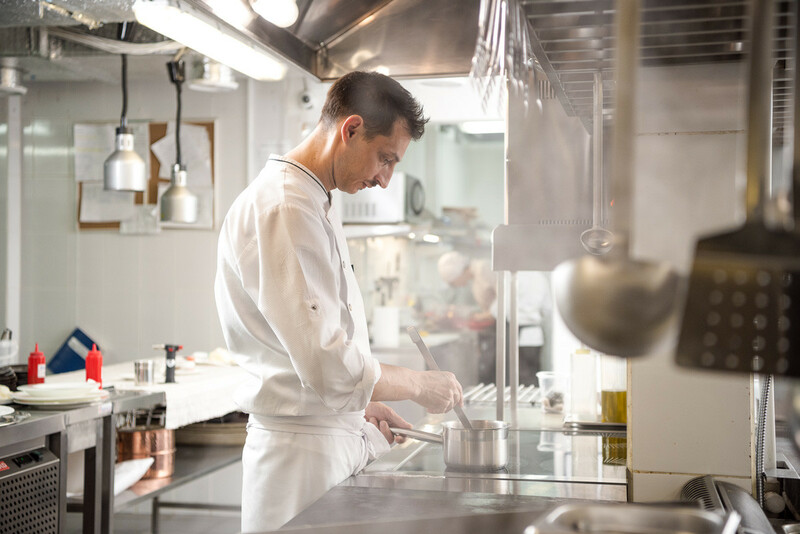 By the age of 16 he made up his mind to become a professional chef, and began learning the craft by working with Michelin star chefs such as Claudio Ruta and Pino Cutaia. 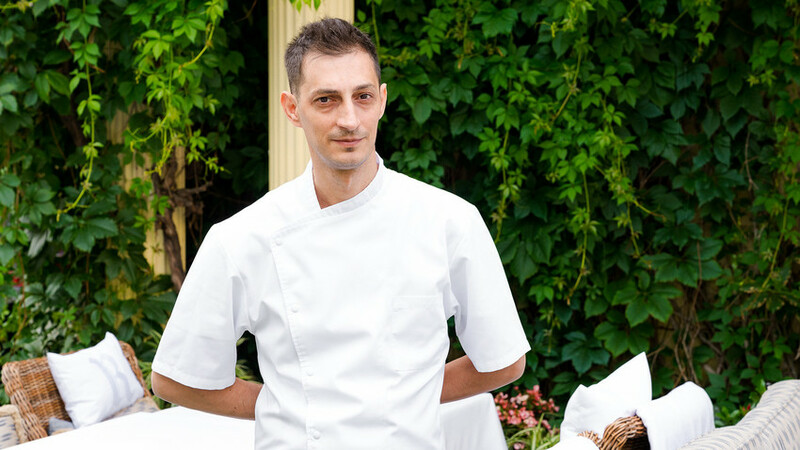 Before coming to Moscow at the age of 28, Giuseppe worked in a restaurant near Lago di Garda. The first kitchen in Moscow under Giuseppe’s command was Semifreddo, where he worked for 7.5 years before moving to Butler, which has been his baby for the past 18 months. 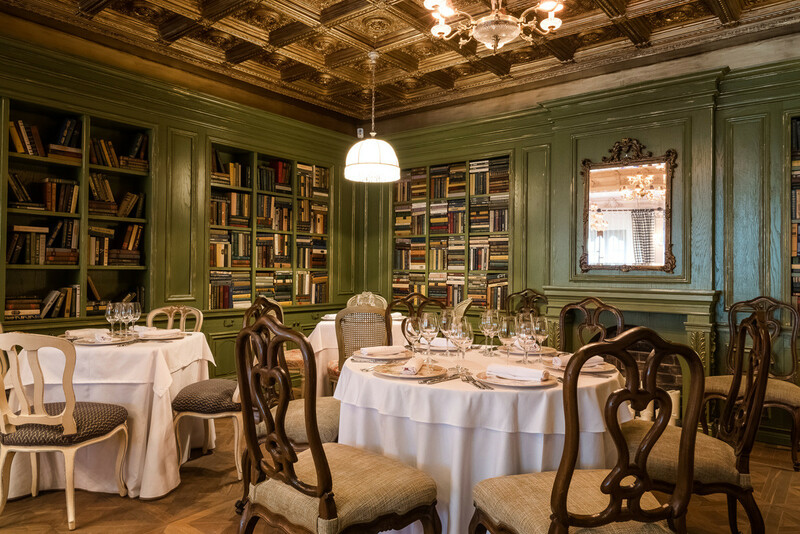 Although some patrons are a little intimidated by the upscale feel of the restaurant (it occupies two floors of an opulent 19th century mansion), the exquisite meals made from fresh ingredients come at a fair price-to-quality ratio. We talked to Giuseppe, and among the many things that we learned was his Sicilian version of the popular Russian dish, kholodets (aspic). I came here for work and it’s great. The mentality of the people is similar to Italy. Of course, at first it was hard due to the language barrier [Giuseppe says in perfect Russian], and it took a good two years to get it to a decent level. One thing that I still find difficult, however, is the fact that there’s still no school or institution in Russia that really prepares chefs for work in the kitchen. It’s changing, of course, but on the whole most people who come to work in a restaurant are there just to have a job as opposed to Italians, who go to work in a restaurant because they love food and have a passion for it. For us Italians it’s not a job; it’s from the soul. What’s your vision of Italian/Sicilian cuisine? 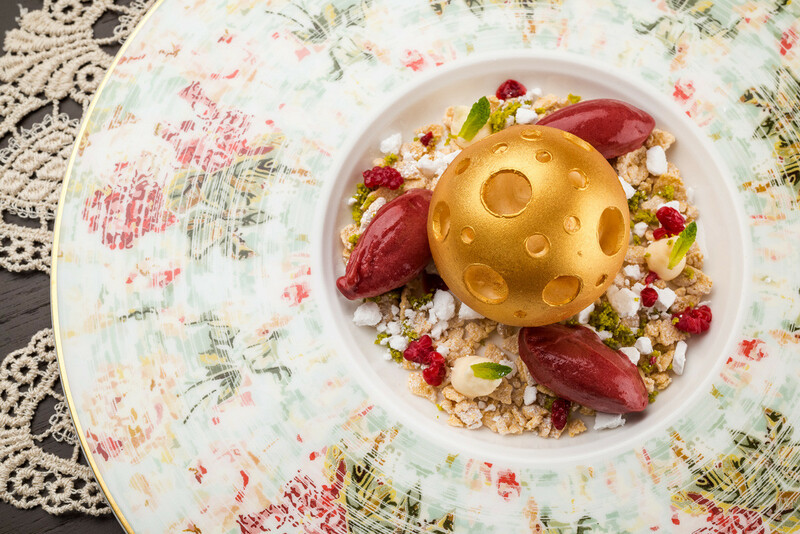 How is Butler different from other Moscow restaurants that do something similar? The products and ingredients are number one. Everything we use always has to be fresh and seasonal. Also, my kitchen uses very little cream or butter and focuses more on Mediterranean elements such as olive oil and fish, which makes the food healthier and diet-friendly. I try to give classical dishes a new and aesthetic look while keeping the traditional ingredients/recipe. I’m quite conservative and not one for fusion. Apart from the freshest possible ingredients, for me it’s all about aesthetics and new technologies. Lots! Maybe I’ll launch something less fancy than Butler. In the past four years people have been saying that Italian food is no longer interesting, that there’s not enough genuine ingredients due to economic sanctions. However, I think that Italian food is always going to be popular, and so I want to make a more democratic version of Butler. I like Russian food. As for my favorite dish, well, I think it’s easier to say what I don’t like – cabbage! I like kholodets because we have something similar in Sicily. Clean the meat well and place all ingredients for aspic in a pot with 10 liters of water; bring to a boil. Skim the foam from the surface and lower the temperature to 105 degrees Celsius and continue to boil the ingredients at that temperature for 14 hours. Then, remove the ingredients and separate the vegetables from the meat. Filter the broth three times until it becomes clear. Place the meat in a 30 x 40 cm tray (5 cm in height), pour the broth over it and place in the refrigerator for 12 hours at a temperature of +4 degrees Celsius. After 12 hours, take the kholodets out from the refrigerator and remove the fatty film that formed. Cut the first 10 x 2.5 cm piece and dress it with the vegetables, horseradish and olive oil. Cut the second circular piece by using a 6 cm cutting ring and dress with a mixed salad, red onion and the 25-year old balsamic vinegar. Cut the third circular piece by using a 4 cm cutting ring, and dress with radish and mustard. In our series “How foreigners change Russian cuisine,” Russia Beyond sits down with Moscow’s most brilliant foreign chefs to talk all things food, and to give you, our readers, a special Russian recipe in their own original interpretation that you can easily make at home! Are you brave enough to taste Russian delicacies? It's time to find out!